McCain's proven he can get the country's interest with a pretty, folksy, female lightweight, and that throwing consistent arguments out the window (i.e., my opponent is a "celebrity" or "experience matters") is no problem when it comes to suckering votes. 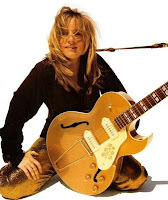 Melissa Etheridge. Talk about Barracuda - this Mom writes her own songs, and boy, can she rock! Also, if you vote for Obama, he has a special promise for all you undecided white males independents: hot girl-on-girl action with partner Julie Cypher will be a standard part of the weekly radio address. Obama may be the big O but with Etheridge on the ticket it'll be the "L" word giving us change we can believe in. Kerri Walsh and Misty May-Treanor. Hey, who says you've got to pick just one? McCain has only one VP, we'll double your pleasure. Palin may shoot the pig and bring home the bacon, but gold-winning Walsh and May Treanor will shoot and score! With both Kerri and Misty on our team, we'll be able to spike it against old Vladimir Putin any day. Kyra Sedgewick. The down-home Deputy Chief Lieutenant of the LA Priority Homicide division brings street cred and law and order to the ticket. And most importantly, a believable Southern accent. So what if it's just a television role? The point is, she can deliver a line. The other side may talk reform, but you can be sure that this "Closer" can "Close" our case in Iraq and "Close" our deficit. 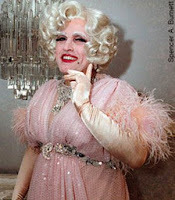 And if none of those work, there's always the old standby - Giuliani in drag. Now that's what we call a reach across...the isle.